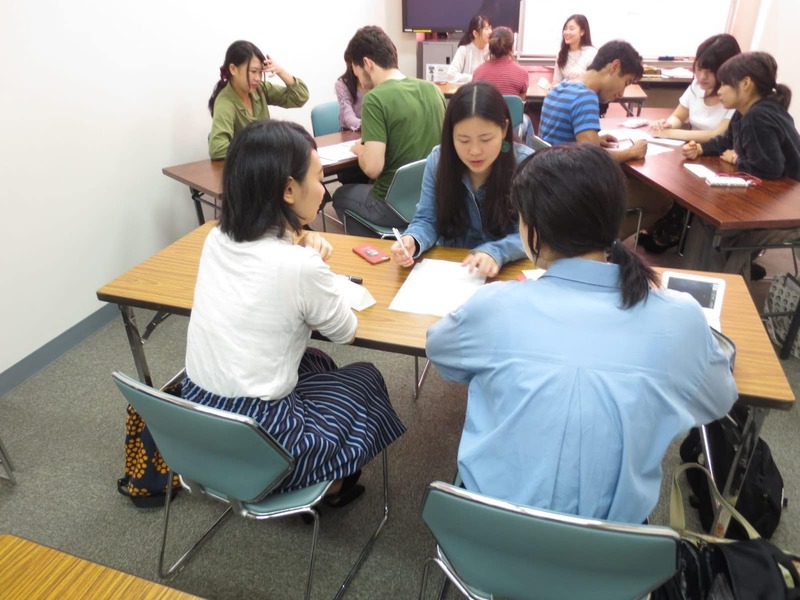 Doshisha volunteer students met with Yoshimura-sensei’s class to discuss recent news and articles students previously read. 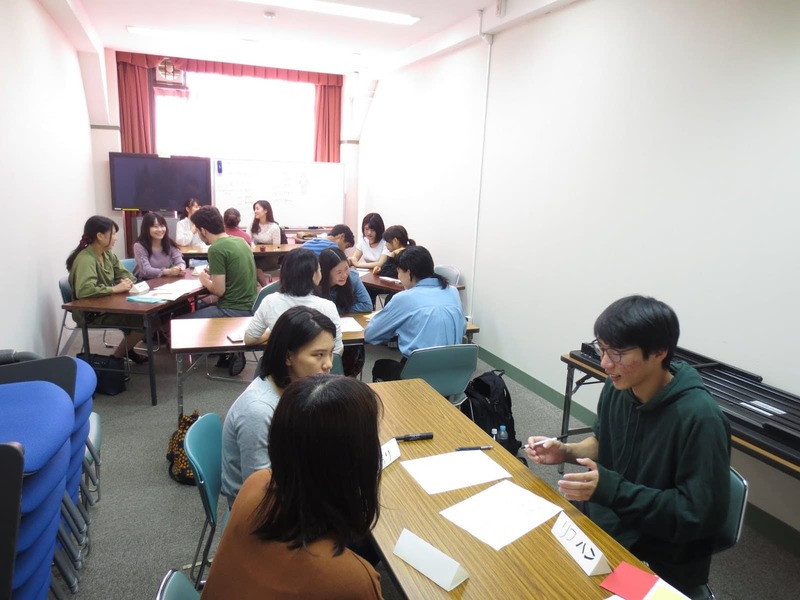 In groups of three (two Doshisha students, one AKP student), AKPers were able to diligently discuss the topics at hand and became great discussion leaders. 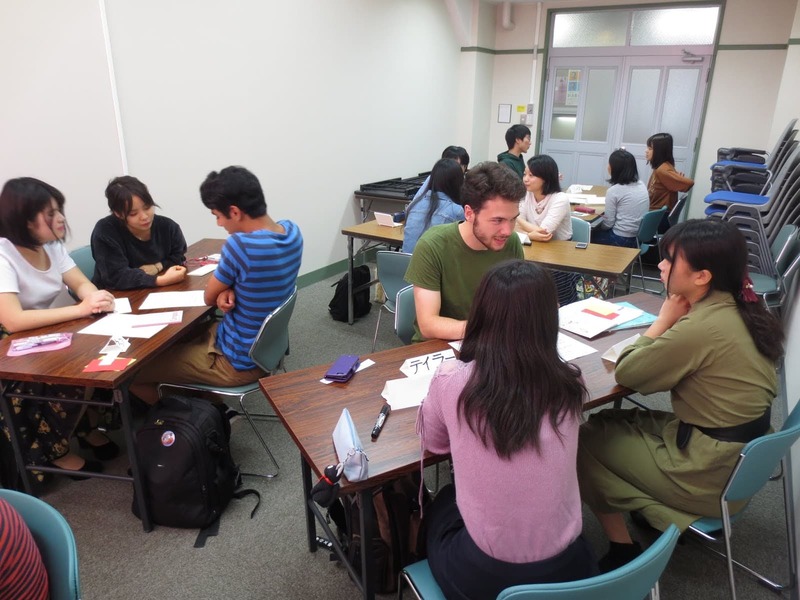 At the end of class, students wrote a summary and reflected on their topic. Volunteers, thanks for joining us!